HomeCandy & Snacks Hershey’ Whoppers 24 Ct.
Whoppers is the original malted milk chcocolate balls. The uniquely refreshing taste of cool peppermint and smooth dark chocolate. 25% Less Fat! Than the average of the leading chocolate candy brands. Case contains 24 packs of Hershey’s Whoppers The Original Malted Milk Balls. 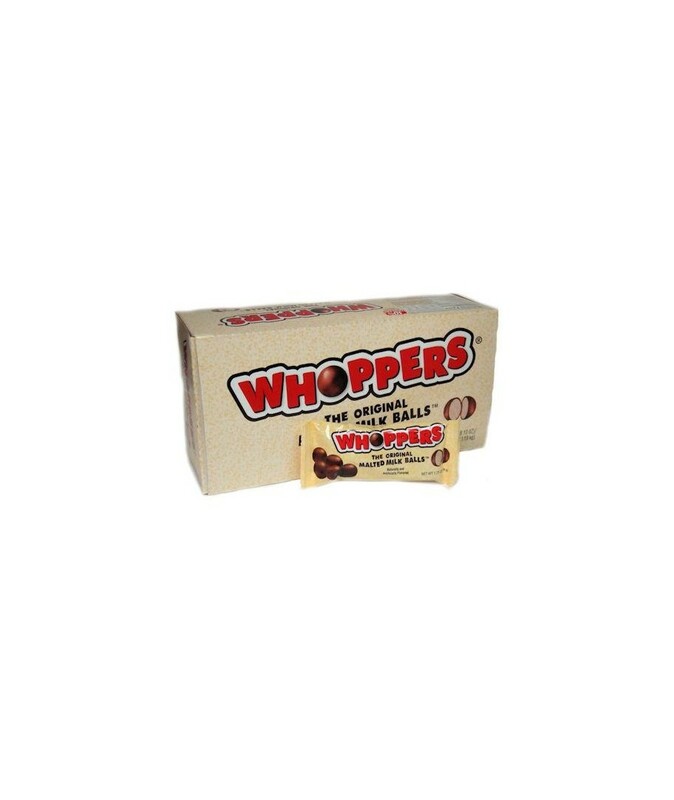 you can buy Hershey’s Whoppers in bulk at a wholesale price at volt Candy Online. 1 review for Hershey’ Whoppers 24 Ct. I gave this to my boyfriend and even though he hates candy, he was appreciative i got this for him.